6. Free online update for 1 year, after 1 year,it will cost 250USD/year. 2.If you don't need EPB+Oil/Service reset+Battery matching function,you can just buy stand onfiguration. 3. 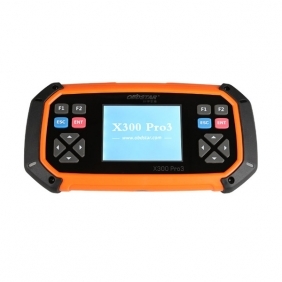 X300 PRO3 can't support VW 4th&5th IMMO. Note: There would be some differences to software in different countries. If you need more specific information, please feel free to contact with us or our distributors in your aera. How to update OBDSTAR X300 PRO?